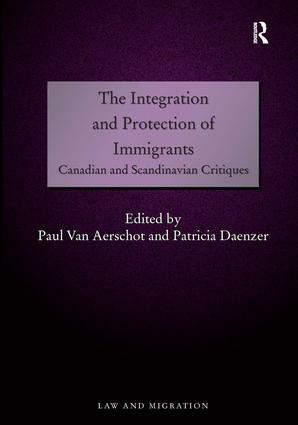 "This volume will be of great value to, as the authors put it, ‘all those who try to help immigrants and safeguard their rights’. As the number of people seeking asylum in European countries is reaching an unprecedented level, and more and more of them perish while trying to find a place of safety in Europe, the authors emphasise the need for authorities to find the way to enforce and properly implement the policies designed to protect these individuals." Paul Van Aerschot is adjunct professor (’docent’) of social welfare law at the University of Helsinki, Finland. He has worked recently at the same university as a senior lecturer in social welfare law and earlier as assistant professor and acting professor of administrative law. He has a particular interest in socio-legal studies and has written on aspects of social welfare law and social security. Patricia Daenzer recently retired from McMaster University, School of Social Work, Ontario, Canada, where her academic focus was ’Social Welfare Policy’ with a particular interest in policy issues related to migrant workers, immigrants and refugees. This continues to be the focus of her research, community advocacy and current writing.